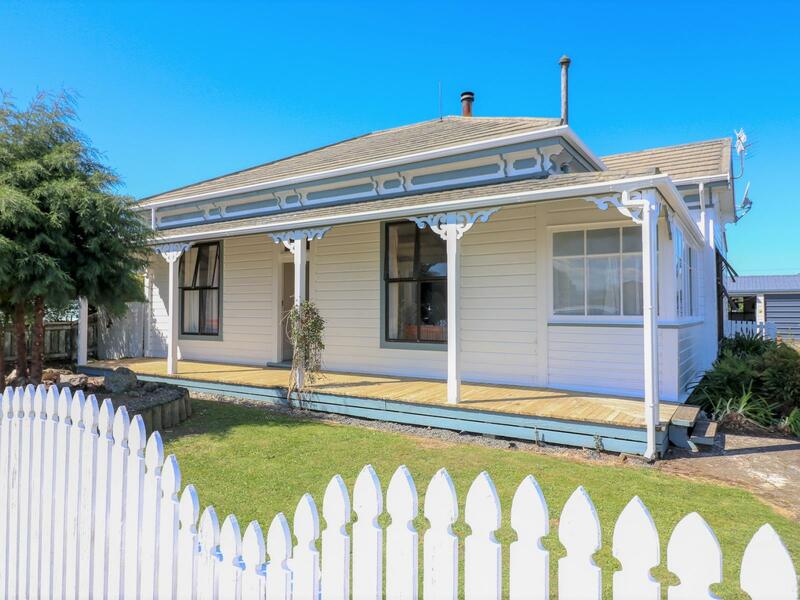 This large early 1900s property ticks many boxes. Three large bedrooms plus fourth single bedroom or office, open plan roomy kitchen/dining with walk-in pantry, spacious lounge with wood burner on wet-back, sun room off the lounge, bathroom with bath, vanity and a toilet, separate laundry with shower box, excellent double garage with workshop. All that on the fully fenced 1012 m2 section close to town, primary and high Schools. Painting is done for you and with a few touches make this a very special family home.You need to be quick, book your private viewing with me now.